This is surely my favorite. You skills are so breath taking, it has me even more eager to start sewing again!!! Love the detailed work in the bodice. Beautiful. You look gorgeous. It is a wonderful dress!!! Wow, you are super talented. I love the design of this dress, great job, love the photos and the twirls! I swear you have the perfect twirls! Gorgeous! Love this dress so much! I will be ordering this in white next week! But YOU ARE beautiful!! Haha. I love this dress and the shoes fits perfecly! 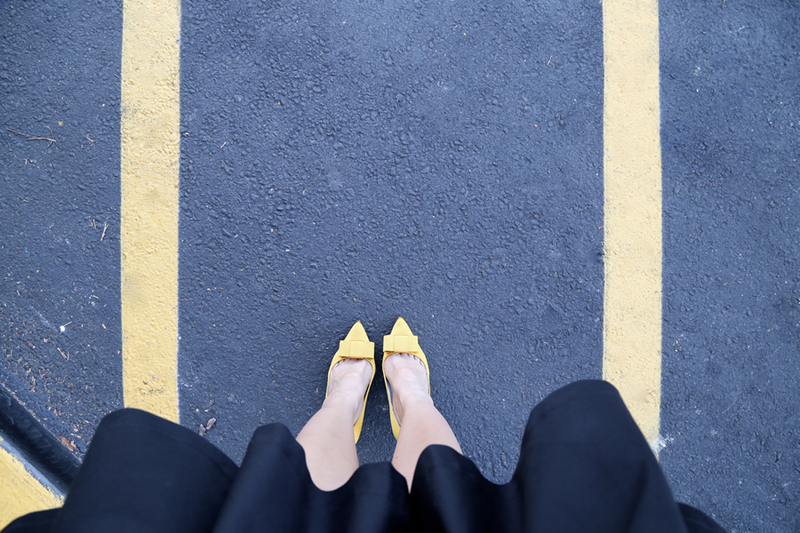 I like the pop of yellow and the bow too and I completely agree about boring black dresses! I love that you put a spin on this little black dress! Very cute dress and I completely agree about a boring black dress.